What an exciting time in your life! We’d love to hear your beautiful wedding ideas and discuss the options for hosting a magical wedding at The Orchard Estate. 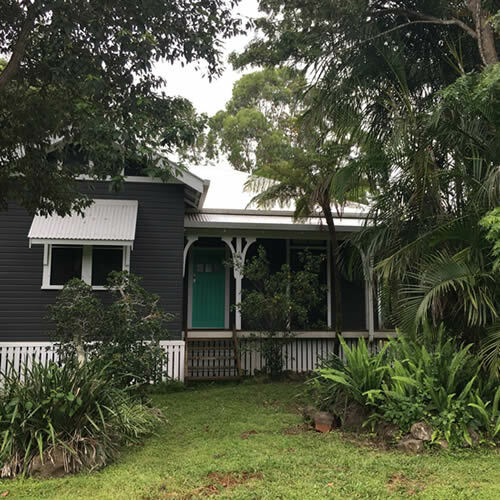 The Orchard Estate is set on a macadamia nut orchard situated in the picturesque Byron Bay hinterland. Set across 100 acres, this premium wedding venue overlooks the spectacular Nightcap mountain range and stands alone, offering complete privacy and serenity. 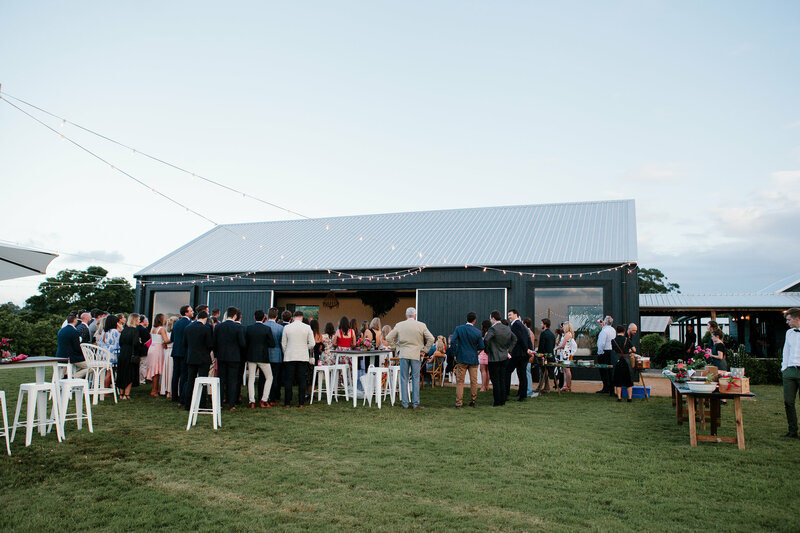 It features a purpose built barn, commercial kitchen and toilets to accommodate your entire day. As an architecturally impressive structure, The Orchard Estate is as stunning as it is user-friendly. 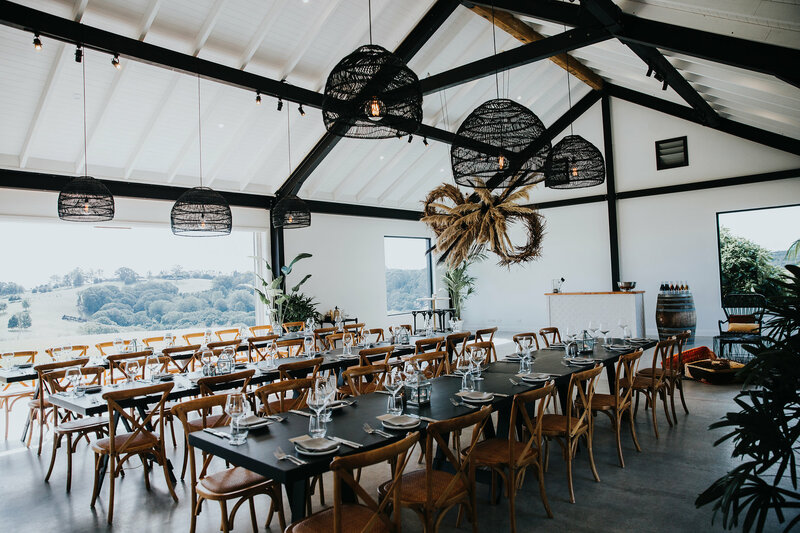 The interiors of the modern barn provide the ultimate blank canvas to style your wedding, presenting polished concrete floors, white walls and dark framing. 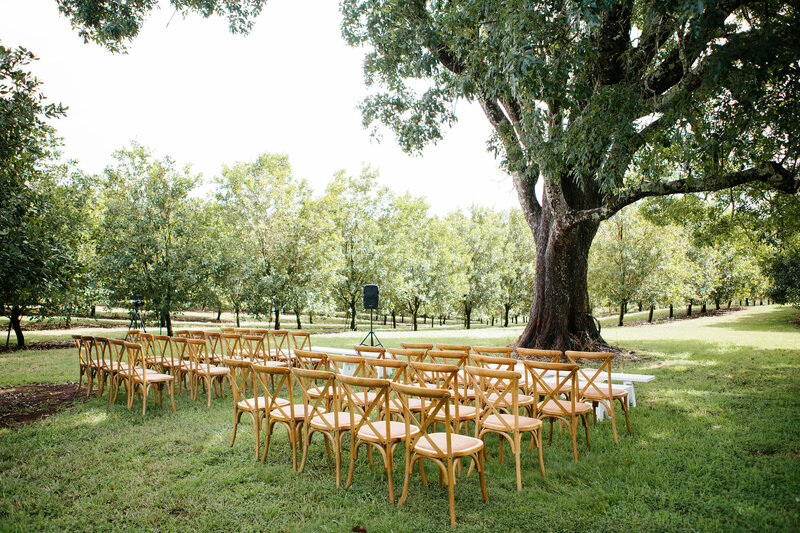 The sublime beauty of this landscape offers the best backdrop for your ceremony and photographs. A gentle walk throughout the macadamia orchard or witnessing a golden sunset from the rolling hills, capturing the perfect moment is easily done. Having your photos taken on-site also allows for more time to enjoy the company of your loved ones! Parking: Up to 5 car spaces available. For most people it's a big expense to get married. We like to be really upfront with our pricing to ensure you don't receive any surprises along the way. Please use our online quoting tool to give you an estimate on what your wedding day will cost at The Orchard Estate. You can adjust the columns based on your guest numbers to give you an accurate quote. Need help or have questions on how to do this? Please give us a call and we will be happy to guide you through the process 02 6684 7260. We'd love to show just show amazing The Orchard Estate is in person. Sometimes photos just don't do it justice. Please get in touch if you have any questions about pricing, what is included or would like to arrange a time to come see the venue. Each wedding couple is invited to the Fig Tree Restaurant for a complimentary tasting dinner before their wedding day. This allows them to sample the food and service they will provide at The Orchard Estate before the big day. The Orchard Estate is a BYO venue. How good is that?! All alcohol and drinks can be delivered direct to The Orchard Estate for the team to put on ice. All wait staff are professionally trained and certified. Perfect for your bridal party preparations! Located 100m from the main barn, the Farm House includes: 2 x queen size bedrooms, I x double size bedroom, 2 bathrooms and a 10 x 4m pool. The Farm House sleeps 6.